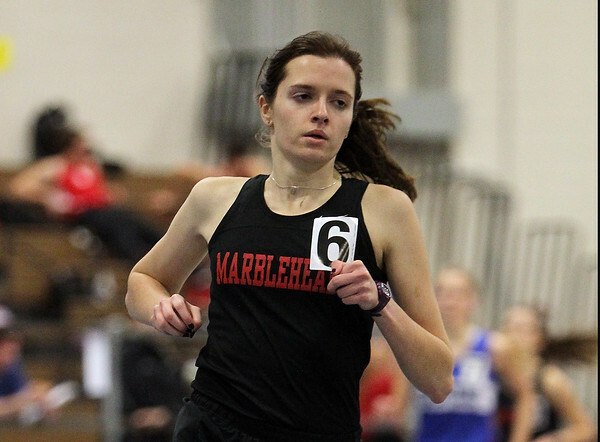 Marblehead senior Anna Barrell paces herself during the girls mile at the NEC Conference Meet at the Reggie Lewis Center in Roxbury on Friday afternoon. DAVID LE/Staff photo. 1/30/15.